Before considering what kind of diamond you want, consider what kind of fiancée you have. Is she a diamond kind of girl? Or maybe, she’s into pearls? What’s her overall style? A lady who loves vintage might prefer something a bit unique, either a vintage ring, or maybe a bespoke ring designed to reflect her personality (check out our bespoke gallery for inspiration). If she’s a modern, sophisticated woman, she’ll probably be aware of the latest engagement styles – a round solitaire ring in a “modern setting” for example, or perhaps an engagement ring that will stack well with a wedding ring. If like the majority of men (around 75% in the UK) you decide to go for a diamond, you need to pay careful attention to the universally agreed rules for identifying the quality of the stone. Diamonds are 99.95% pure crystalised carbon and are the hardest naturally occurring substance known to man. It is their hardness, brilliance and sparkle that transforms them into a girl’s best friend. 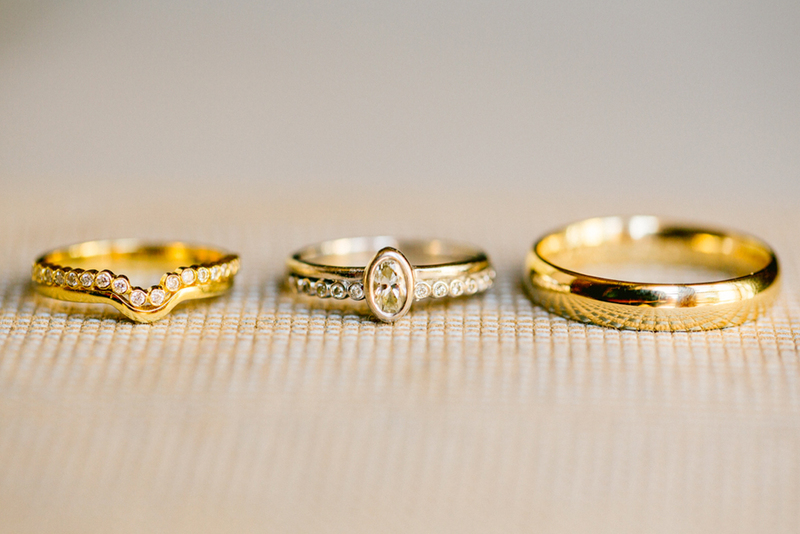 So what do you need to know about them when deciding on a ring? If you follow The 5 C’s you won’t go too far wrong: Cut, Colour, Clarity, Carat and Certificate. Cut: As the only characteristic of a diamond not influenced by nature, the cut is open to mistakes and bad practices. 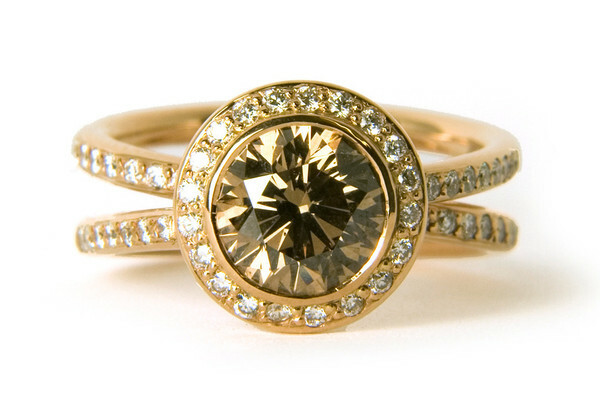 Cut a diamond incorrectly and the defining sparkle will be compromised. It is how the 57 or 58 facets (the tiny planes cut on the diamond’s surface) are angled and sized that dictate how light reflects and exits the diamond, an effect known as its “fire”. Make the cuts too deep or too shallow and the diamond will be less brilliant. The cut will also determine the shape of the diamond. The most common shape is the round cut, but others include the emerald, the pear, the marquise, the princess, the oval and the heart shape. Ask to see all of these shapes, if only in a picture, to make sure you have covered all your options. Colour: The most valuable and rare colour is white, that is to say, colourless. Jewellers grade absolutely colourless diamonds with a “D”. The scale moves up to “Z” (don’t ask what happened to A, B and C) and, between these two extremes, diamonds will display subtle coloured tones. Diamonds with a very strong and distinct colour are extremely rare and are called fancies. Clarity: Many people get unnecessarily hung up over the clarity of a diamond. Look into most diamonds with a magnifying eyeglass and you will see small “inclusions”, also known as “nature’s fingerprints”. They look like small clouds or feathers but are usually invisible to the naked eye. Inclusions can affect the diamond’s fire, but they also make your diamond unique and shouldn’t always be seen as a fault. As long as the stone is graded SI1 (Slightly Included 1) or better (best and most expensive is IF, or Internally Flawless; worst is I3, or Imperfect 3), you should be all right. Carat: The weight, and thus the size, of a diamond is measured by carat. A carat is equal to 0.2gm, or 200mgm. A carat is divided into 100 smaller units called points. For example, three-quarters of a carat is 75 points. The average size of most engagement-ring diamonds is somewhere between one carat and half a carat. Do not confuse carats with karats, the unit of purity for gold. An elongated diamond, such as a marquise or oval can make short fingers look more sleek–but be careful not to overdo the look or it could have the opposite effect. Wide bands usually make fingers appear even shorter than they are, so think proportional. Women with long fingers can easily wear bold ring styles, conversely, a setting that’s extremely delicate could get lost on large hands, over-emphasizing their size and making the ring look smaller. Will the ring suit her lifestyle? Not a very romantic consideration, but an important one nonetheless. Consider what kind of lifestyle she leads and if a certain style of ring would be a hindrance, for example a pointed stone with clasps could snag on clothing (and people) and can be more difficult to keep clean. Also, if her profession demands quite a conservative style, a more elaborately designed engagement ring could seem out of place. So you’ve found the ring of your girl’s dreams, but how do you know if it fits? A simple way of finding out the size of your fiancées ring finger would be take another of her rings, and have it sized. However, bearing in mind that she’s unlikely to be wearing a ring on the intended finger (the old wives tale about it being bad luck puts most off!) this won’t be an exact science, and even taking a ring from the same finger on her right hand won’t guarantee a good fit as most people’s hands vary slightly from each other, but it’s a good start. Remember that sizing down the ring is easier than making a ring larger, but neither should be too problematic if undertaken by a good jeweller. Separator image Posted in The Bespoke Jewellery Journey and tagged with 5C's, carat, colour, contemporary jewellery, design, diamond, engagement, engagement ring, love, platinum, proposal, quality, white gold, yellow gold.